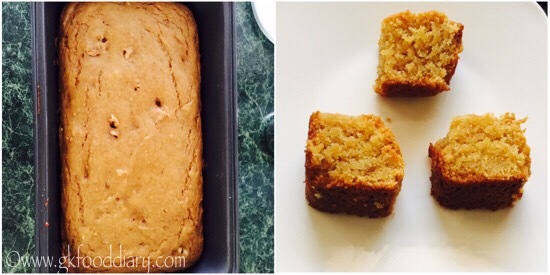 Eggless whole wheat Milk Cake Recipe – easy and delicious cake recipe made with whole wheat flour, milk and no eggs! 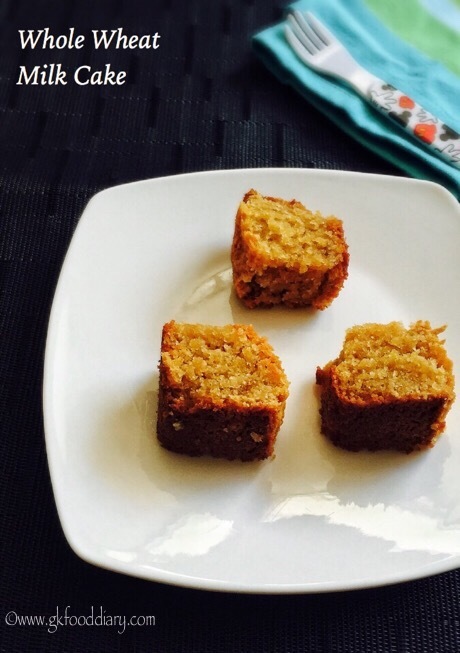 This cake is so spongy and melt in mouth with the goodness of whole wheat flour. I saw this recipe from YouTube and was tempted to try immediately. It turned out super tasty and a keeper recipe to try for any special occasion like birthday. It will be a super hit among kids and sure a no fail recipe. 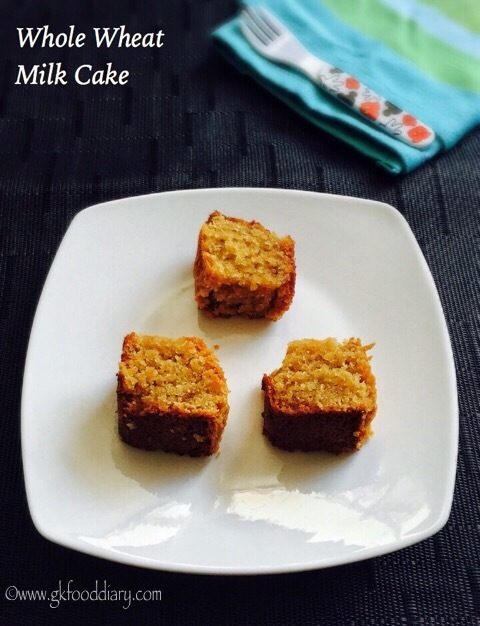 This whole wheat milk cake can be given to toddlers after one year occasionally as a rare treat! 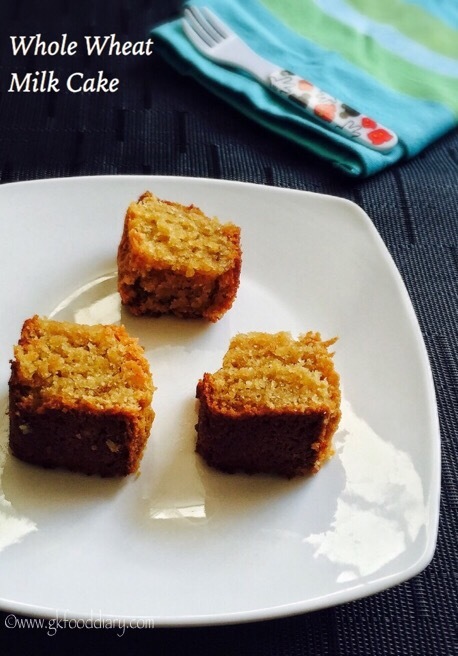 Now Let’s get on to check how to make this delicious eggless whole wheat milk cake. 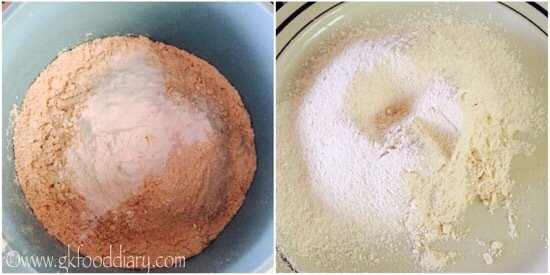 Measure and Sieve the whole wheat flour and mix well with baking soda and baking powder. Also preheat the oven to 180 degrees for 15 minutes. Take butter in a pan and melt it. Once the butter is melted, switch off the flame and remove the pan from fire. 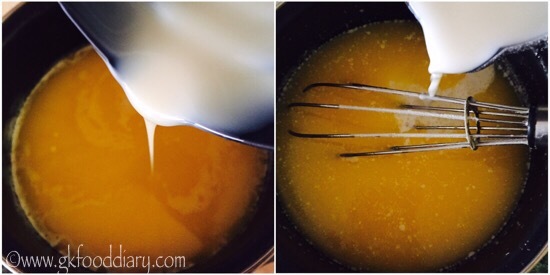 Now add sweetened condensed milk. Mix well with a whisk. Then add warm milk. Give a quick stir. Then add sugar, followed by vanilla essence. Mix everything together with a whisk. Now add the sieved whole wheat flour mixture to the wet ingredients. Gently fold everything well for 10-15 seconds. Don't over mix. 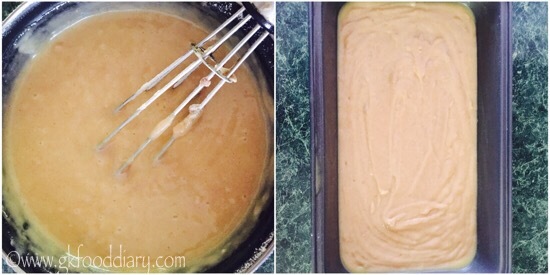 Grease a cake pan with butter. Pour the mixture to the cake tin and gently tape it. Bake in the preheated oven at 180 deg C for 45-50 minutes (baking time depends on the size of the cake pan and oven) at 180° Celsius till tooth pick inserted in the center comes out clean. Allow to cool in tray for 5 minutes once done. Once the cake is warm, cut into pieces and serve! 1. 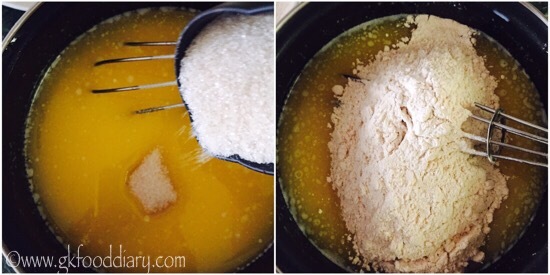 Measure and Sieve the whole wheat flour and mix well with baking soda and baking powder. Also preheat the oven to 180 degrees for 15 minutes. 2. 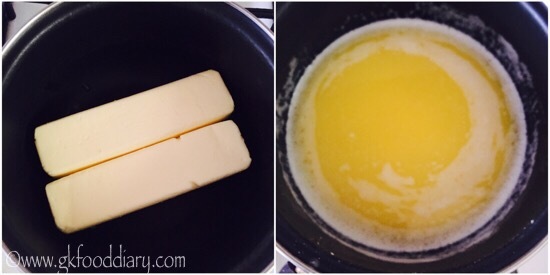 Take butter in a pan and melt it. Once the butter is melted, switch off the flame and remove the pan from fire. 3. Now add sweetened condensed milk. Mix well with a whisk. Then add warm milk. Give a quick stir. 4. Then add sugar, followed by vanilla essence. Mix everything together with a whisk. Now add the sieved whole wheat flour mixture to the wet ingredients. 5. Gently fold everything well for 10-15 seconds. Don’t over mix. Grease a cake pan with butter. Pour the mixture to the cake tin and gently tape it. 6. Bake in the preheated oven at 180 deg C for 45-50 minutes (baking time depends on the size of the cake pan and oven) at 180° Celsius till tooth pick inserted in the center comes out clean. Allow to cool in tray for 5 minutes once done. Once the cake is completely cooled down, cut into pieces and serve! The delicious whole wheat milk cakes are ready to serve ! If the top is started browning, cover with aluminum foil after 30 minutes of baking and continue. This milk cake stays well for 4 days at room temperature and keeps good for a week if stored in refrigerator. You could add any nuts of your choice.